Food products that may contain a genetically-modified ingredient are known as genetically-modified foods (GMO foods) or “bio-engineered foods”. 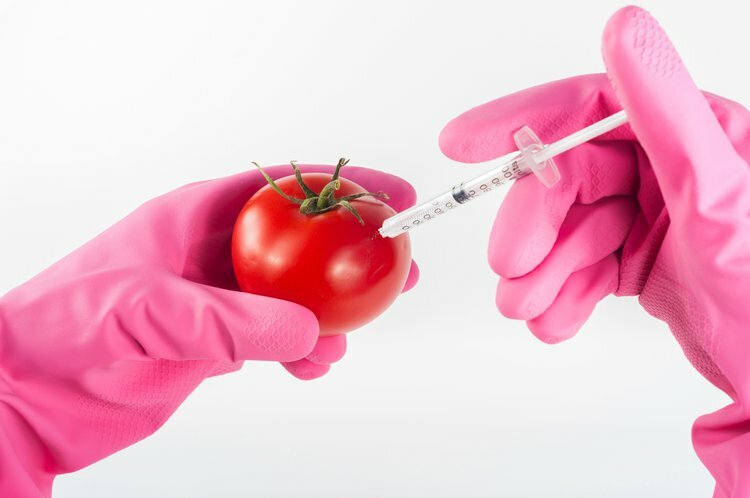 The recombinant DNA technology is doing its turns on the headlines often with genetic engineers introducing foods in the market that are subjected to gene modifications. Genes of desired traits through the gene splicing method are introduced as DNA fragments into other organisms that in turn acquire the specific traits. Likewise, genetic modification is applied to plants, animals, as well as microorganisms. Food products that may contain a genetically-modified ingredient are known as genetically-modified foods (GMO foods) or “bio-engineered foods”. This principle is similar to the traditional practices of selective plant breeding applied to crops; however, the current recombinant DNA technology is proven to be far more predictable, precise, practical, as well as less time consuming. Rice, wheat, maize, tomatoes, potatoes, soya bean, chicory, and many other plant varieties are some of the commonly available bio-engineered crop items seeking acceptance through the market globally today. Thanks to genetic modification, such foods project a range of benefits. Primarily, these foods are far sturdier in terms of facing climatic alterations and storage environments. In fact, some crops have shown to gain the ability to tolerate droughts and excessive soil salt as well. Another important reason why this technology stands popular is that disease and insect resistant crops are practically possible. Apart from these enhanced nutritional and medicinal values, improvised product quality and outcomes, increased antioxidant properties, as well as lowered price tags have been a key combination to attract product developers and consumers alike. Additionally, low chemical residues remain in the soil and low pesticide levels are demanded by such ‘genetically altered’ plants, which largely claim to favor the environment. On the contrary, several concerns by scientists, researchers and consumers raise questions that must be taken into serious consideration. The primary one is the supposed risk posed by cross-breeding practices. The procedure may lead to cross-contaminations and transfer of undesirable traits or gene transfers from foods that may cause serious allergic reactions to specific groups of consumers. This may also lead to violations of personal or religious sentiments of the consumer as he/she remains unaware of the source. Another drawback is the antibiotic resistance that may develop as antibiotic-resistant genes present in these foods may enter the gut flora and reduce the effect of their action in the host organism. The largest disadvantage is the disturbance in biodiversity that genetically engineered foods cause by introducing innumerable species as part of the food chain. On account of the drawbacks discussed, it is essential that genetically modified foods be labeled in order to project nutritional information, presence of potential allergens, presence of additives, and the traditional source employed for genetic splicing. However, most nations are yet to formulate this regulation and this continues to be a debatable issue across the world. A 2003 study conducted by the Society of Toxicology to assess the safety of genetically modified food came to a conclusion that testing these foods through the substantial equivalence concept provides an idea as to how safe the food is when compared to its traditional counterpart; however, whole foods are difficult to assess. The research also states that provided the food qualifies the testing procedure, there is no hazard posed to the consumer; nonetheless, transgenic technology has every chance to end up in more complex and substantial traits in species that can lead to undesirable or untestable alterations in food. With both pros and cons around, genetically modified foods can be safest when DNA recombination regulations are well followed, tested and such foods are labeled and distributed so, across the globe. Hissom, A. Are Genetically Modified Foods Safe?. Aljabri, F. (2013). Are Genetically Modified Foods Safe?. Andrews, D. (2011). America’s current systems of food production overly centralized overly industrialized overly controlled by companies, and overly reliant on monocultures. Are genetically modified foods safe and nutritious? No, the long term health effects and health risk of genetically modified foods are yet known. People do not know what they need to know about genetically modified foods. World History. Carey, B., & Cederborg, J. (2000). ARE GENETICALLY MODIFIED FOODS SAFE TO EAT?. Health, 14(1), 29.